The Glen of Aherlow Fáilte Society Ltd.
Club Ceoil is a social evening of music, song, dance and poetry which takes places in a variety of pubs and venues across the Glen of Aherlow. The entertainers are all amateur locals who love to perform and enjoy others performing. It is run every Thursday evening during July and August for our summer season. We welcome the many visitors who are in the Glen at that time, many who will also get involved and sing or bring an instrument. This summer two of our American visitors were traditional ukulele musicians and gave a wonderful performance in Templeneiry Church. The Glen 5k is a charity 5k walk/ run that supports local causes. It usually takes part in August and Runners & walkers of all abilities are welcome. 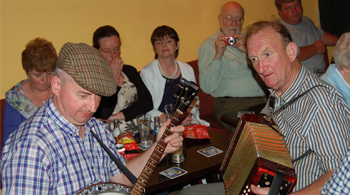 The Pride of Tipperary Festival is one of Ireland’s longest running festivals. The festival has a strong fundraising legacy and last year a cheque for €5,000 was presented to Circle of Friends cancer support centre in Tipperary town. Circle of Friends will also be the 2016 beneficiary. It took place on Thursday, 14 July to Saturday, 16 July, 2016. 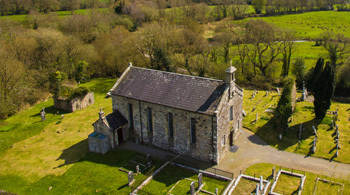 The festival celebrates the Feast of St. Sedna with exhibitions, displays & concerts in Clonbeg Church. 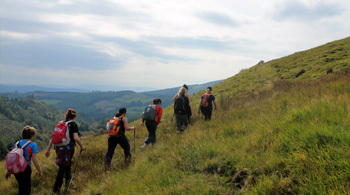 On Sunday June 26th, the Galtee Walking Club’s Challenge took place. 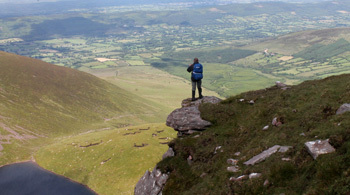 It is a 31km traverse of the entire Galtee Mountain range, taking in all major peaks with a total height gain of 1700 metres approx. and a maximum altitude of 919 metres. Experienced guides will accompany all walks. The decision and authority of the leaders is final and at all times to be accepted by the participant. Choose the walk most suited to your level of fitness, if in doubt please consult walk leader. This is a very popular walking/running Marathon and half Marathon, held annually on Palm Sunday since 2009. It covers a distance of 42km across and forms two loops, east and west, taking in both the north and south sides of the ridge. It is advised to prepare and train before the event. 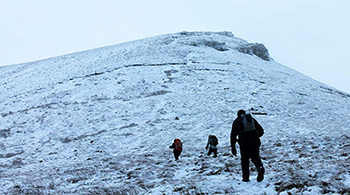 It is vital that participants come with appropriate clothing and footwear for all weather conditions. 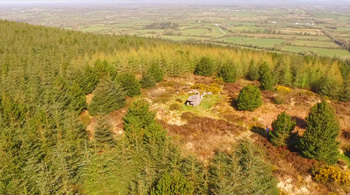 Areas covered include Rock an Thorabh, Moor Abbey and Bansha Woods. On Saturday walks include; Galtymore Horseshoe, Bane Hill and Gregory Loop. On Sunday there will be walks to Lake Borheen, Lake Diheen and Cush Mountain and the Millennium Stone.